Everything Pinterest for Individuals and Internet Marketers alike! How do you draw in a loyal group of followers who enjoy your posts? What’s the key to getting yourself pinned all over the world? Just what is Pinterest all about, anyway? 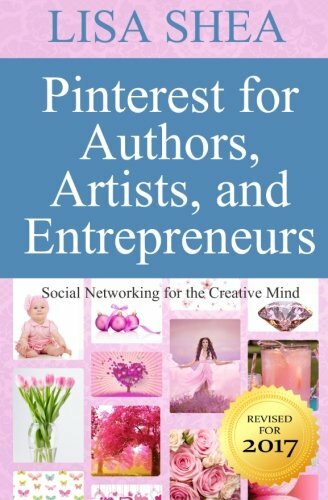 Authors, artists, and entrepreneurs have a fairly unique set of needs on Pinterest. They want to spread the word about their latest romance novel release. They need to find buyers for their acrylic landscape painting. Maybe they’re a rock band drumming up interest in a new song. This book gets you on your way. I run and support multiple Pinterest accounts for authors, bands, artists, and other creative projects. I know the challenges of getting your book discovered in a world where thousands of new authors release books every month. I know how hard it is for a band to break through out of the sea of wanna-bes. I’ve honed the techniques and gotten the sales. This book starts from the beginning. It takes you step by step through creating your first account. It talks you through the different types of images and how to use each to your best advantage. From contests to trends, there’s always an angle to help your project out. You just have to know what to do and then do it. How do you manage multiple accounts? What words draw people in to repinning a post? The book guides you through all the jargon and makes things easy. Plus, if you’re stuck, I’m just a click away and am happy to lend a hand! Get started today – a massive world of potential fans awaits! Half of all proceeds benefit arts for children programs.